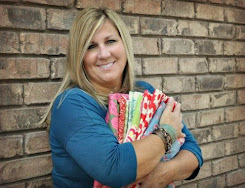 Dana Engemann Designs: August Craft Classes: Jump into Fall. August Craft Classes: Jump into Fall. We are starting off the season so you can be prepared with your decor and enjoy this great time. I hope you will join me for the next few months and create some fun, new and unique decorations. Choose either project or both. Class size is limited. Frank stands 23 inches tall with wood base. fabric stuffed body with wired arms. The face is hand stitched and layered to create wrinkles and a mouth for those hilarious teeth and wood bead eyes. He wears a fur vest with pom tassels. A wood sign that you paint to say what you'd like. Happy Halloween or No trespassing. Hanging from his belt is a skeleton and cute assorted tags and spiders. Don't forget his adorable hoodie with pom pom and lace up front. He is easy to assemble. This adorable ghost stands 17 inches tall on a wood spindle. fabric stuffed body and hat, wired arms and stitched eyelids. You will be instructed on how to paint these simple eyes. They sure add a lot to this little guy. Make a ribbon badge and flag to accessorize him. Easy to assemble.